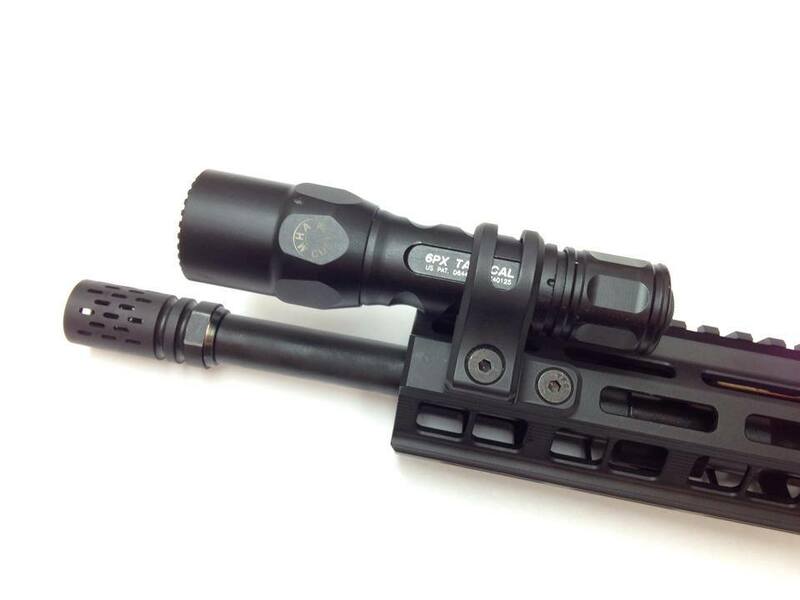 This is yet another fine attachment system to affix your 1″ diameter lights onto the various M-LOK rails and handguards found just about everywhere in the current marketplace. 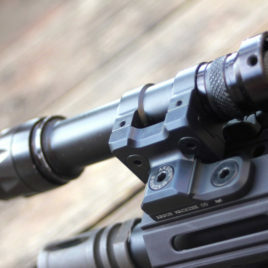 Taking basic styling cues from our MOE Slot mount, Our M-LOK light mount retains much of the same tactical features and package size of the MOE light mount but with all of the advantages of the M-LOK system. Installation is quick and easy using just a 1/8″ hex wrench leaving one’s self more time to practice force multiplying, asymetrical weapons manipulation drills or cook bacon or both. Our M-LOK Light Mount’s compact, low drag design facilitates smooth transitional workspace manipulation with minimal adverse handling effects. 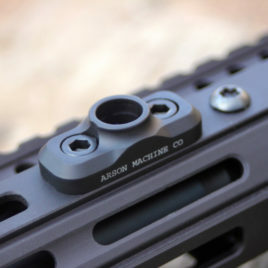 It’s versatile and fully ambidextrous design allows for many mounting solutions that are only limited by the placement of the M-LOK slots on your rail. 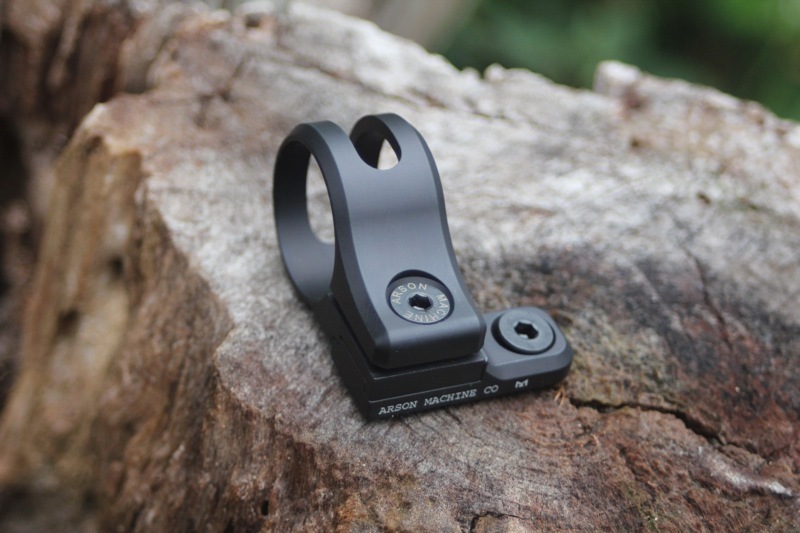 This M-LOK Light Mount is like no others. All snag points are removed, leaving a finished product that will not impact any kinetic actuation. Materials are all Tier 1 Type III, Mil-Spec Hard Coat Anodized 6061-T6 Aluminum and black oxide conversion treated stainless steel**. 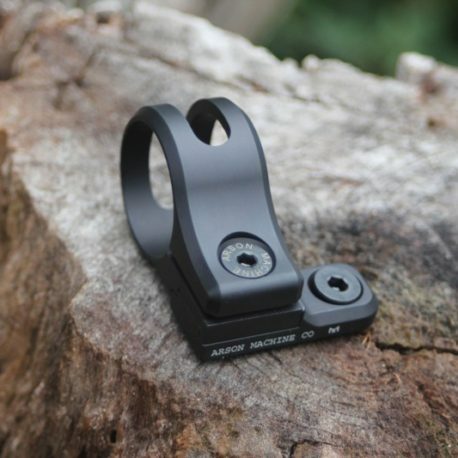 Everything is black on our M-LOK Light Mount, except for the subtle laser etching so that the mount goes almost unnoticed when operating in an operational environment operationally. **While we try to keep everything as stainless as possible on all of our mounts, occasionally we can’t avoid using non-stainless parts. 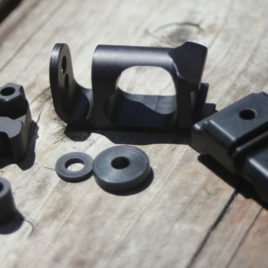 On our M-LOK light mount, this comes in the form of the T-Nuts used. These are genuine M-LOK T-Nuts directly from Magpul and are made of some very nice alloy steel with a parkerized finish. While not stainless steel they are still of the highest quality that one would expect from Magpul Industries. Fantastic mount. Bolts right into my magpul moe handguard and puts the light at 1 o’ clock, very comfortable to activate. As I shoot left-handed, I was happy that the mount was reversible. Mount is streamlined and solid, good to go. Great mount. Light weight, strong, and fully functional with not a big footprint. Bought two. I love my m-lok light mount. Wish you had some in stock! We are making more. Will be in stock in a week and a half or less. Had an unexpectedly huge demand in the last 2 weeks that caught us off guard. More were in the works prior to, but just didn’t make through before we ran dry. Oh, and quit your whining. 100% satisfied with this mount. Lightweight, simple design and reasonably priced. I couldn’t be more impressed with this mount. I don’t put sub-par parts on my rifles (Geissele, Daniel Defense, BCM, Larue, Elzetta, Aimpoint, Etc.) , and this Arson light mount is up there with the best. The machining, finish, and attention to detail are superb! This mount is definitely a value for the price. I’ll be ordering the Keymod version for a new build. Buy USA made, support small business, buy Arson! Exceptional mount, perfect craftsmanship! Check out the Go pro mount as well, equally impressive. Wow! Impressive mount that hugs close to the MOE handguards. I put mine upside down to be used in conjunction with a VFG and it works perfectly. Machining is top-notch and the mount does not weigh much. Price is very reasonable as well. I highly recommend it. Perfect mount. Small, light weight, well designed and extremely secure. A fine example of of proper American engineering and manufacturing. Minimalist perfection. 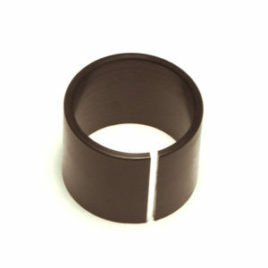 Need a shim to make your smaller than 1" diameter light fit our mount? We have those right here.